This is my go-to for sides! It’s so easy and makes you feel like you’ve tried with dinner (which we all know I didn’t). Who doesn’t love a good egg over some hashbrowns? I know I do. I also know I love this particular recipe much better as there’s so much more flavour, colour and texture to it! Try it out! Famous words to live by. Do I have your attention yet? Good. Let me introduce you to my new favourite dish. Want to have a date night but don’t really have the money to spend on two dinners, drinks and a tip? Not to worry, I have your fancy [and easy] solution! My love of pasta and avocado is not news – see my post here for Avocado Bacon Penne. BUT I also like fancy avocado – guacamole is absolutely scrumptious. 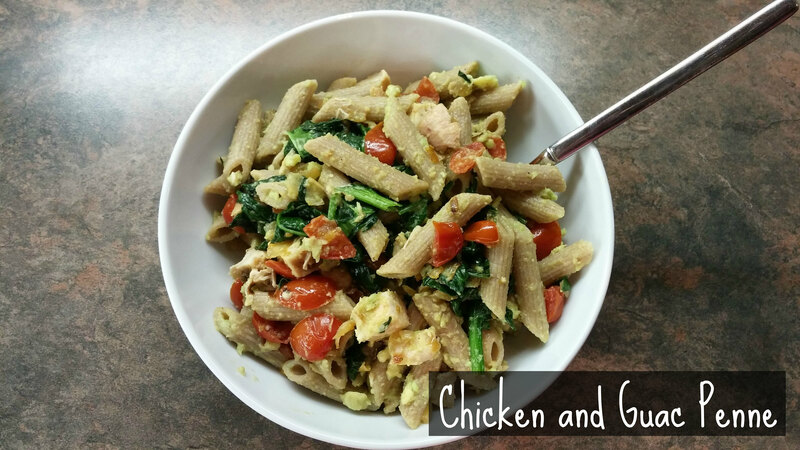 This recipe adds some more veggies and protein to the mix, and is super tasty and satisfying. Even the day after, the leftovers held up (they may have been even better…)! Click on through to see how to make this colourful and flavourful dish! 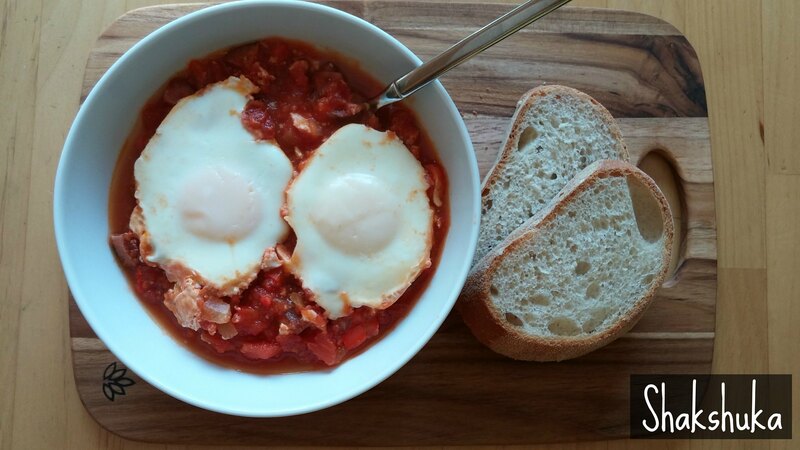 Shakshuka is one of those feel-good, satisfying, warm-up-your-bones kind of meal. It’s healthy, filling, and easy to prepare, and that makes it one of my absolute favourite meals to make for myself. Breakfast, lunch, dinner, alone, shared…this dish covers it all! Click on through for the how-to!